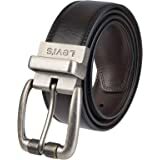 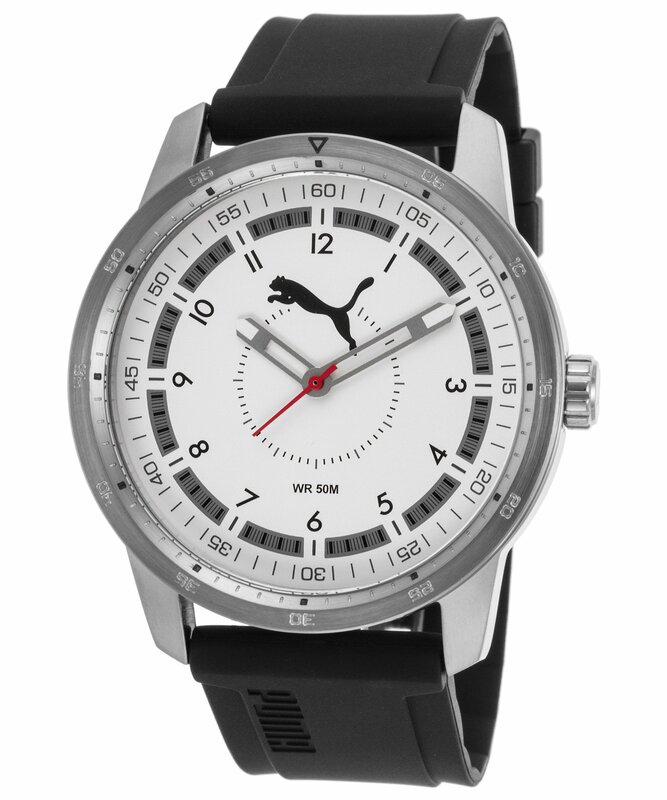 Puma PU104111004 men's watch features a 46mm wide and 10mm thick solid stainless steel case with a fixed bezel and textured push-pull crown. 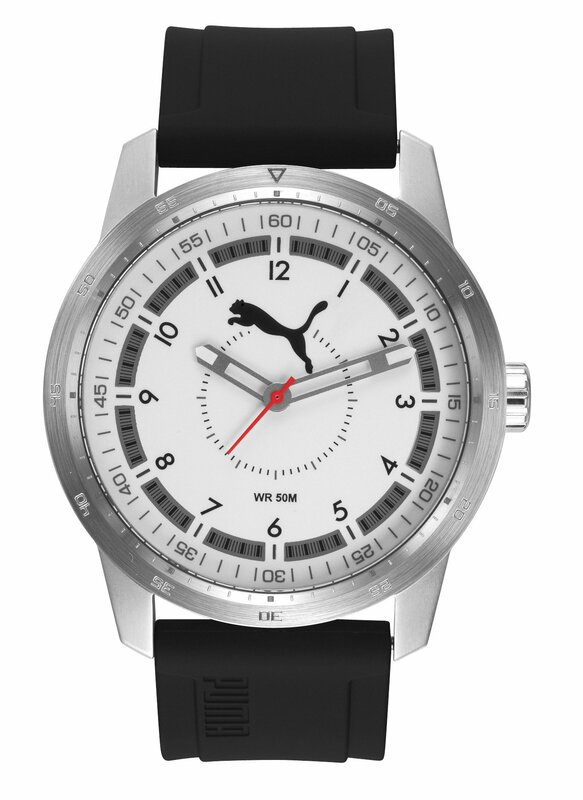 Puma PU104111004 is powered by quartz movement. 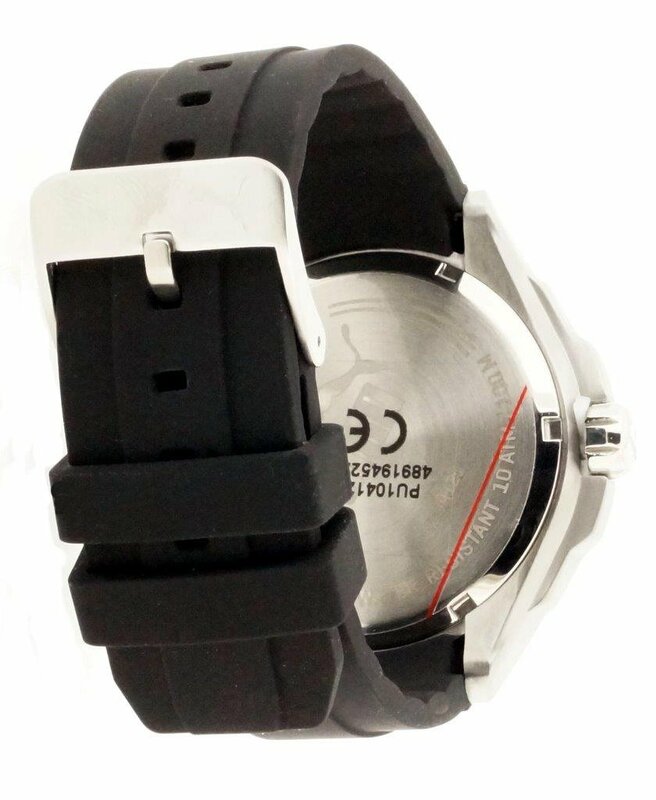 This stylish watch also features a sharp looking black dial with white accents silver tone luminous skeleton hands and Arabic numeral hour markers, scratch resistant reinforced mineral crystal and water resistant to 50 meters. 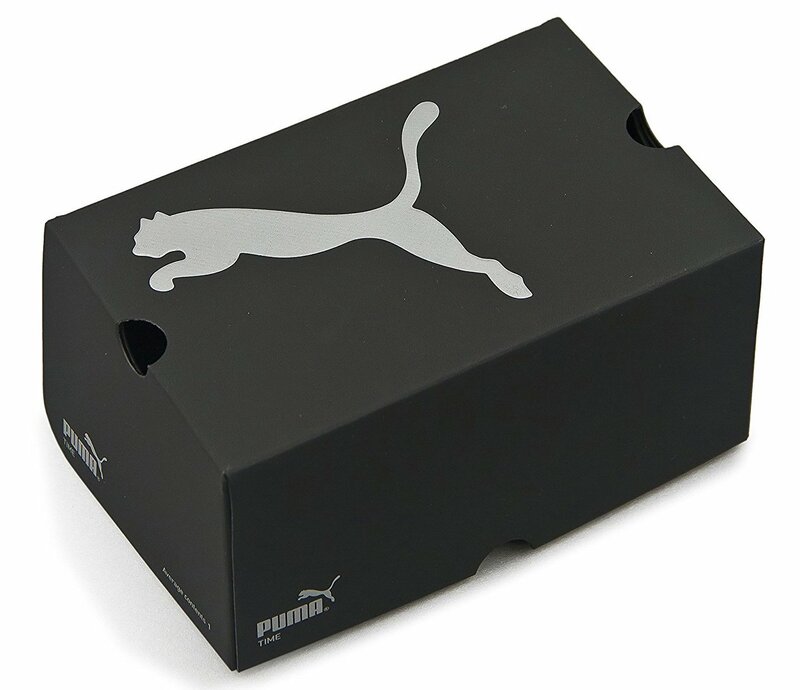 Puma PU104111004 is equipped with a 24mm wide black logo debossed rubber strap with a buckle clasp. 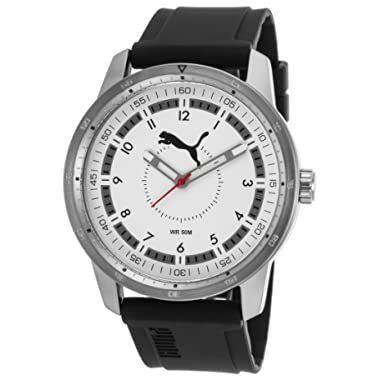 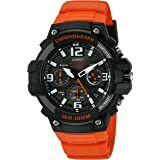 Puma PU104111004 men's white dial black rubber strap quartz watch is brand new and comes in an original Puma gift box and is backed by a 2 year store limited warranty.